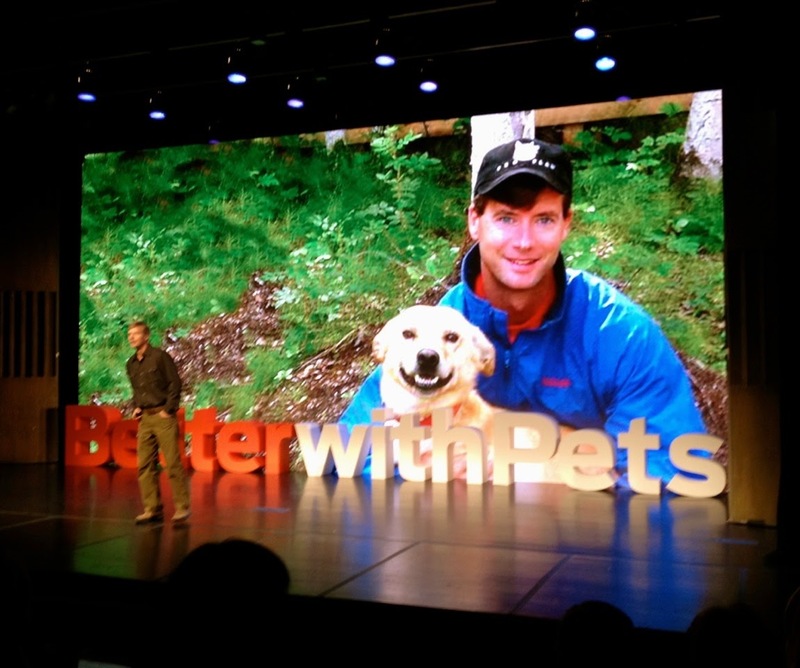 Last November, I had the chance to attend Purina's Better With Pets Summit in New York City where the leading thinkers and doers in the pet world came together to share incredible stories about how pets and people are better together. Today, I want to share one of the many talks I found inspirational. This one is fitting for FitDog Friday as speaker Dr. Arleigh Reynolds talks about dogs as the world's best athletes. Dr. Reynolds, a Purina Physiologist, is also a veterinarian, exercise physiologist and world-champion sprint dog racer. Here, he tells us about the amazing endurance that dogs demonstrate every day, and how their unique physiology helps them excel in even the most demanding of environments. Check out this brief one-minute preview, and then when you have time you can watch the full-length (15-minute talk) below. It's a great story and truly inspirational. Dr. Reynolds has a special bond with his dogs, one we can relate to as being part of a performance dog/human team. You can read more about the Better With Pets Summit here and find more inspiration from the Better With Pets program. Have you formed a special relationship with your dogs by participating in sporting events or physical activities? We don't do any events but that special bond is what makes them so interesting we think. Have a fabulous Friday. Mom and Katie really bonded in Germany when she helped Mom train for a marathon. They put back lots of miles together, it was good for both of them. Now Bailie and I are working on nose work and tracking which is also great for bonding. One of the best ways to bond with a new dog is to train together. A training class with a good AKC trainer is recommended, but the more training together you do the better you bond. I agree with Hawk! Training together creates such a great bond between you and your pet whether in a class or own your own. I definitely feel closer to my dogs now that I spend more time, walking, running, and playing with them. When I take them for a one on one walk, or activity, it really seems to help us to bond so much more too. Trick training definitely creates a bond. It's like dog charades.